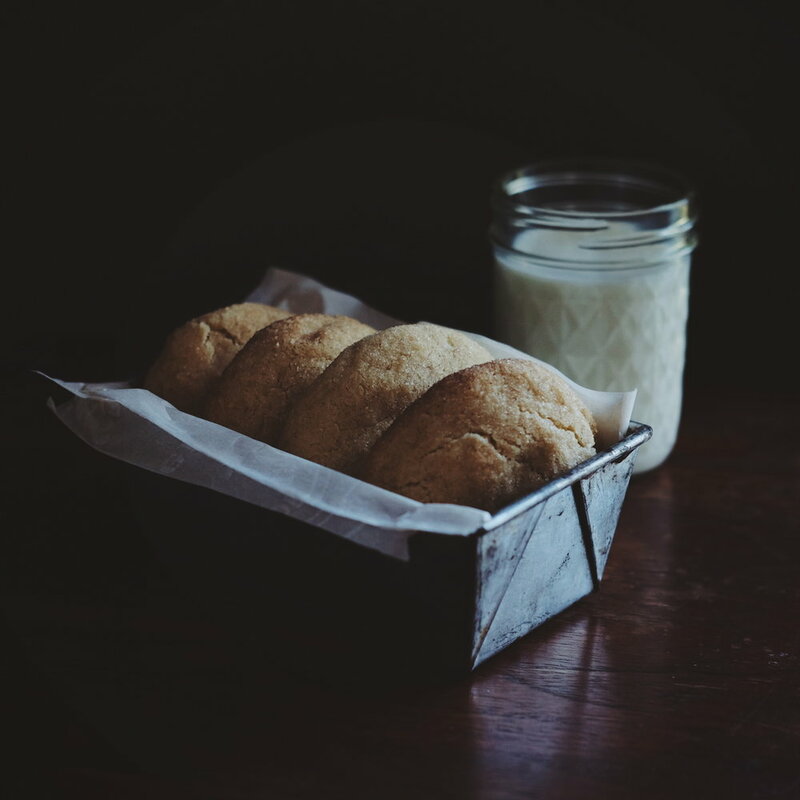 Chewy, soft, cinnamony sweet Snickerdoodles. These kids are settling in to another school year, working hard adjusting to early mornings and evenings crammed with sports and homework. This treat is for them, and you too of course, for keeping it all together and the ship sailing smooth. Happy Friday to you all! Enjoy. Add egg, vanilla, salt and beat until light and fluffy again. Combine flour and baking powder (make sure the bp is well combined, I use a sifter or whisk). Add flour to rest of ingredients in 2 parts (so you don't end up with the flour in the air, floor, you) and combine. Mix until batter sticks together. If it is crumbly add one tsp of water at a time until it does. If the batter is sticky, add a tbsp of flour at a time until it isn't. Combine the sugar and cinnamon in a bowl for coating cookies. Form round balls out of batter and roll in sugar/cinn mixture. Place cookies on cookie sheet (I use parchment paper). Bake about 15 minutes. WATCH THEM! This recipe makes 12 large cookies. I use a large ice cream scoop. Cooking time may differ so keep an eye on yours. Too long and they won't be chewy and soft!